Today, most of our debates include the Indian Army, patriotism, terrorism, etc. An Indian soldier is always known for his warfare skills. And there is one soldier who has helped civilians the country in more ways than one and proved his love for his country by rebuilding one of the most severely affected regions due to natural calamity. He is also an Indian Army officer who fought against the terrorists and forced them run back to their pits. 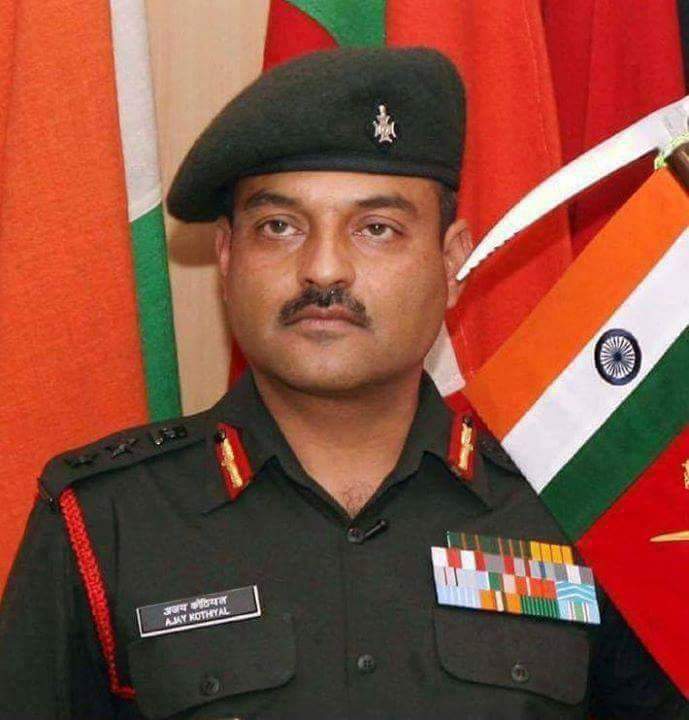 We are talking about Colonel Ajay Kothiyal, Uttarakhand Ratna, who has been awarded prestigious Kirti Chakra, Shaurya Chakra VSM (Vishisht Sena Medal) for his exemplary service to the nation. Col Kothiyal is now a Principal at National Institute of Mountaineering, Uttarkashi. In an exclusive interview, he shares more about his life journey. 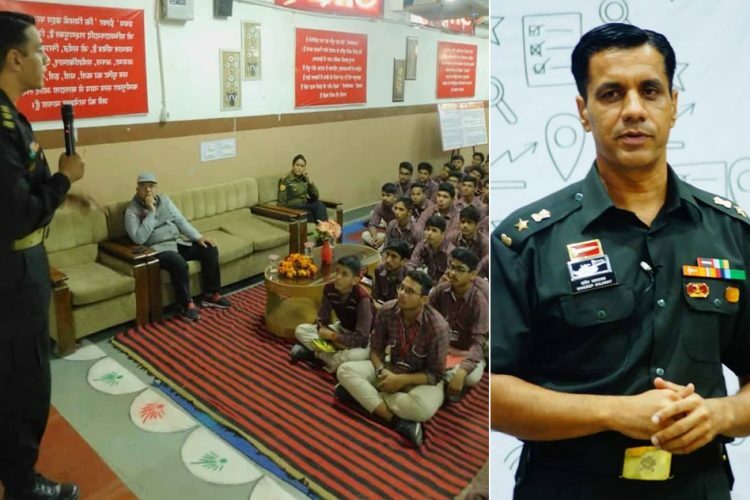 When the government of Uttarakhand was struggling to build Kedarnath’s Char Dham structure, Col Kothiyal with his team from National Institute of Mountaineering took the responsibility on their shoulders. Tell us about your journey from childhood to joining the Army? I was born on 26th of February 1969. My father, Mr Satyasharan Kothiyal, is from Tehri. 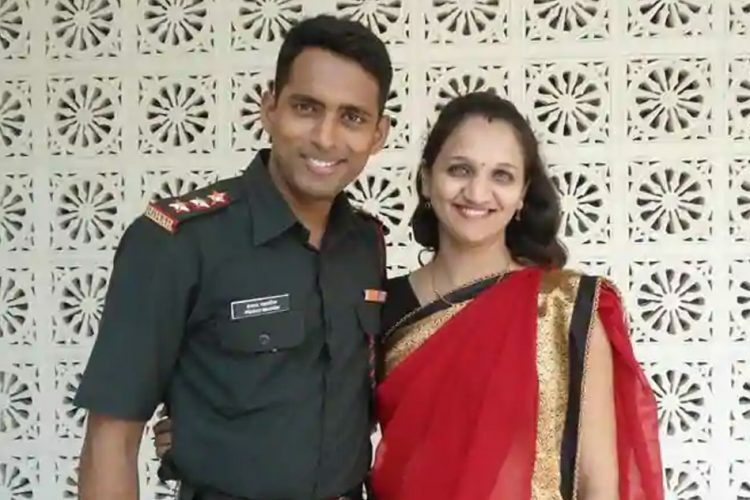 He too was an Army personnel, who started his journey as a soldier in Garhwal Rifles. He was a diligent and perseverant man. He continued his studies along with his job and was commissioned on 30th June 1963. After that, he joined 6th Battalion of Sikh Rifles as the second lieutenant. 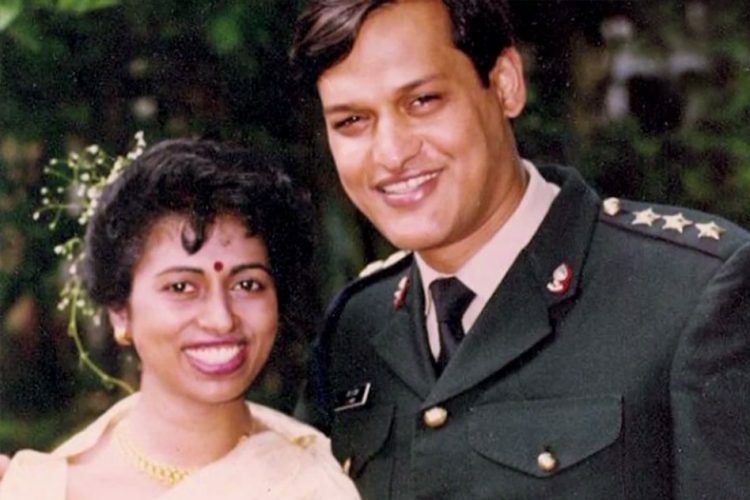 He was later transferred to Border Security Force where he served for forty glorious years and then retired from the post of Inspector General (IG) on 31st August 2000. I spent most of his childhood with my father and grew up in army milieu. Hence the desire to serve my nation and the ethos of patriotism were rooted deep in my heart. I started my professional life as army personnel by joining the Fourth Battalion of Garhwal Rifles Regiment as Second Lieutenant. The fourth battalion had a rich history and was awarded the honorary title of “Nooranang” during the Indo-China War of 1962. This battalion has many decorated and brave men. You were trained in mountain warfare. Tell us about your expeditions to Everest and other tall mountains? I received training in Basic Mountain Warfare from High Altitude Warfare School (HAWS) and emerged as an exceptional mountaineer. Garhwal Rifles established a mountaineering group which was led by me. The mission of the group was to successfully climb the 7056-meter-high mountain Satopant. I skillfully conducted this mission, and the group became the first ever group of Garhwal Rifles as well as Indian Army to successfully climb Satopant. After that, along with my battalion, I worked actively on Operation Meghdoot (Glacier). In 1997 I received another chance to join High Altitude Warfare School (HAWS), and I graduated with great honours in Advanced Mountain Warfare. I was now being recognised as established mountaineer of Garhwal Rifles. In 2000 “Garhwal Rifles Regiment Centre” once again assigned me to lead an expedition to 7135-meter high mountain Mana. I completed this mission and was now being recognised as an exceptional mountaineer in Indian Army. In 2001 when Indian Army was preparing to climb Mount Everest, the highest mountain in the world, for the first time, I expressed my desire to be the part of the expedition team. Members of the team were handpicked and underwent scrutiny. This was the first successful expedition of Indian Army to Mount Everest. In 2011, I decided to climb the 8163-metre-high unapproachable Mount Manaslu. No Indian had ever successfully climbed this mountain. I made a mountaineering group consisting of 3 officers, 2 JCOs and 13 soldiers and flew to Kathmandu. Fighting harsh weather and inhospitable conditions, the first team of this group unfurled the Indian Flag at the peak of Manaslu on 9th May 2011. I was awarded “Vishisht Sewa Medal” for conducting this insurmountable task. In 2012, we achieved another milestone by successfully climbing Mount Everest with a group consisting of 7 female officers of Indian Army. I was awarded “Shaurya Chakra” for reaching this feat. Tell us about your time in Kashmir. In 2001-03, the Fourth Battalion of Garhwal Rifles was posted in Sopiyan, Srinagar for Operation Parakram. I was the company Commander. I made the snow-laden mountains of Pir Panjal my home for many days. This was the region where terrorists were most active. I used to collect information about these insurgents from local people. Using this information I ambushed many terrorists. I escaped death many times and kept on fighting even though I got injured by a grenade attack. Operation Nashnoor: 15th July 2002 – On the night of 14th July 2002, my team and I went in search of terrorists. I was informed that these terrorists were planning to attack the Army camp. At 5 AM on 15th July 2002, I saw some movement and ambushed those terrorists. A member of the team – Nayak Beer Singh – went after a terrorist and shot him from the distance of 300 meters. He also killed another terrorist who was attempting to enter a house. Nayak Beer Singh was shot multiple times in the leg and was severely injured in this mission. For his valiant efforts, the Army honoured him with the Sena Medal. Operation Kongvatan: 13th May 2003 – At five o’ clock in the evening of 12th May 2003, I went on a mission to Pir Panjal Mountains. I had information that a group of terrorists had camped there. After trekking the mountains for the whole night, the team spotted a makeshift camp at 7 AM the next day. They hid carefully to observe movement in the camp. After a while, they saw a group of five terrorists coming out of the camp. After 5 minutes, two more men joined them. My team and I were silently waiting for the group to come closer. As soon as the terrorists entered our range, I ordered the men to fire, confusing the terrorists. While escaping, four of the terrorists fired at me, but I obliterated them and rest were wiped out by my team. 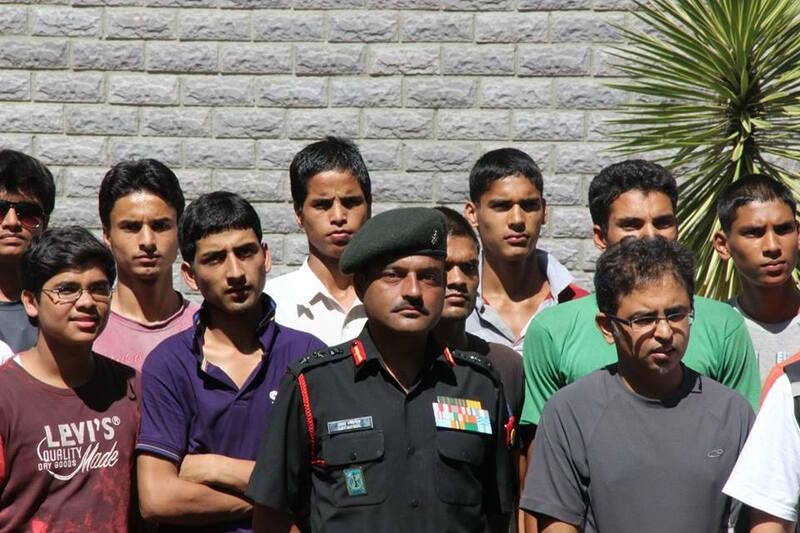 The then Army chief – General NC Vij – congratulated the team personally by visiting the Fourth Battalion. I was awarded Kirti Chakra for the accomplishment of this operation. In 2005, the Indian Army got a chance to participate in the Cambrian Patrol. The Ghatak Platoon of the Fourth Battalion achieved the first rank in Indian Army and was sent to take part in this competition under my leadership. This competition took place in England, and 96 teams from 71 countries participated with great vigour. The Indian team won the Bronze medal. How did you rescue people from the great tragedy in 2013? On 16th June 2013, this disaster destroyed everything except the Kedarnath temple. Thousands of pilgrims and tourists drowned and lost their lives while a thousand others ran towards the mountains to save themselves. 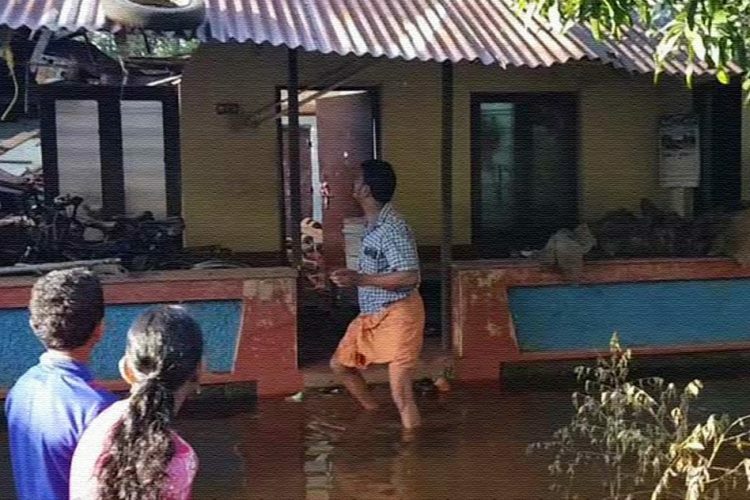 This tragedy shook the entire nation and rescue teams from different states started searching for lost pilgrims. We were the early responders to the havoc in Kedarnath Valley. Uttarkashi–Gangotri Highway was disintegrated due to flash floods, people situated in these areas were cut off from the rest of India and many pilgrims visiting Gangotri were stuck. Mitigation was a challenge for both the state and district administrations. At that time, I was principal of the Nehru Institute of Mountaineering (NIM), Uttarkashi. I formed five rescue teams of 20 people each, consisting of institute’s trainers, officers and soldiers of 109 Engineer Regiment, local social workers and the Institute’s coolies. This group left for selected five different sensitive areas with rescue equipment and relief materials. These teams rescued around 6,500 tourists and local people, including 46 foreigners. They distributed medicines and food to all. 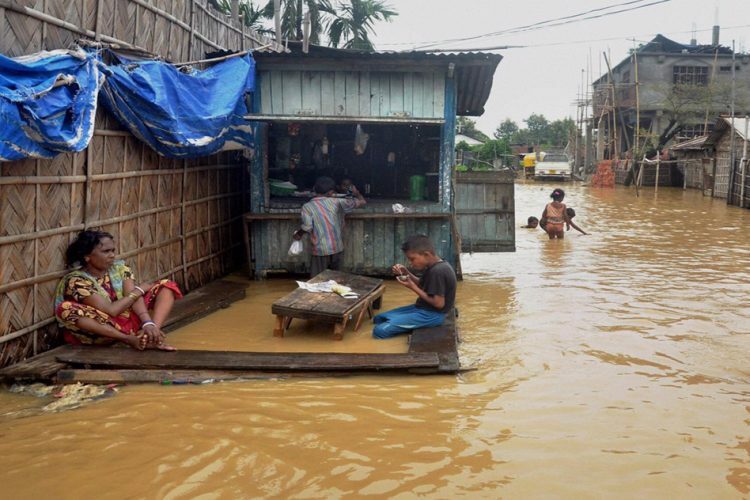 Hence, NIM proved its mettle yet again by aiding state and district administrations in relief work. The rescue team of NIM was hardly relaxing when state government requested for their assistance in the Kedarnath rescue mission. I left with a group of 12 on 9th July to Chaumasi via Guptakashi via an aerial route. From Chaumasi, the team searched for an alternate route to Kedarnath via Kaliganga as the main route was destroyed. I also recruited a few young men from Chaumasi village and led the rescue team to Kedarnath, Gaurikund, Sonprayag and Fata. What were the challenges that you faced when you were helping to rebuild Uttarakhand? Post-Kedarnath tragedy, the state government assigned the task of reconstruction of Yatra route to me when many experienced players of this area were hesitant to pick up this challenging task. I accepted this task even though I was inexperienced. I conducted an aerial survey of Kedarnath on 3rd March 2014. On 8th March 2012, a 12-member team led by me was taken to Kedarnath. They had to jump from the helicopter as there was no appropriate place for landing. This team started its work at the beginning of March amidst the 10-feet-deep snow. After clearing snow and staying in Kedarnath for two nights, the team inspected the area for possible alternative routes and climbed down to Rambada, which was a crucial pit stop for travelling Kedarnath. The entire place was destroyed, and so was original yatra route. Gourikund, the base camp of Kedarnath pilgrimage, was buried in debris. All the roads till Sonprayag, 4 km from Gourikund, were destroyed. In these circumstances, reconstructing road and other amenities for conducting Yatra at its designated time, i.e., in May, was a humongous task. Local people were so petrified by the tragedy that even till Sonprayag there was zero human presence. Usually, on this route, people use mules to carry luggage, but most of them drowned in the flash flood of 2013. Therefore, 200 people of Nepalese origin were brought to Rambada to assist in this difficult task. The daily necessities, food along with specialised equipment like sleeping bags, tents, first aid, snow boots, spades, etc. were taken along for these people, and a camp was established. An enormous amount of cement, iron, pieces of equipment, labour and mules were required to start this task. In the beginning, this was very difficult as the scope of work was huge but the Colonel efficiently managed this task. I sent for around 1200 labours from Nepal and established them at different places all along the route. They were provided with all essential amenities. The Colonel decided to stay at Rambada to supervise this gruelling task. This way, the reconstruction of roads, helipads, bridges as well as shelter commenced. This task was difficult for men to do on their own and hence for the first time, heavy machinery like tractors ATV, Crasher, JCB, Mixer trolley was brought here by dismantling them. They were subsequently assembled by engineers at their respective places of requirement. This is an example that with strong will and dedication, the impossible can be made possible. The addition of machinery increased the pace of the task, and with these, a huge helipad was constructed to bring in even heavier machines like trucks, porcelain, excavators, etc. This helipad had a width of 50 meters and length of 150 meters and was specifically designed for MI26 of Indian Air Force which was to carry the heavy weight machines to fast track the reconstruction. After working continuously for four months, this helipad was created on 28th December 2014 and finally on 4th January 2015 MI26 landed successfully in Kedarnath. This in itself was a milestone as it was for the first time that this plane of Indian Air force landed successfully at an altitude of 11,600 feet. For the first time in the history of Kedarnath, people stayed during harsh winters, when generally temple gates are shut, and tourism comes to a halt. The team continued its work amidst snow as deep as 18 ft. During this period the workers of NIM cleared the buildings destroyed by tragedy using machines. Record snowfall was observed in the year 2015, and thus even by the end of April, the entire route from Rambada to Kedarnath was covered in snow and massive glaciers. The entire route was cleared for proper conduction of Kedarnath Yatra. A tent colony of about 100 tents, canteen and welcome area, were set up for pilgrims. Along with these, bio-toilets, safe houses, halls for religious discourses, Rambada bridge and mule stops, etc. were constructed. Now the task was to build a three-tier wall behind the temple, a ghat at the confluence of Mandakini and Saraswati, and 113 rooms for temple purohits. Blocks and tiles were required for completing this task, for which machines were purchased, and local people were taught to operate them. Hence this work was skillfully done by locals. NIM’s work in Kedarnath benefitted the local community a lot. The canteen run by NIM for pilgrims and tourists served local cuisine like Mandua poori, Chaulai laddu, horse-gram, red rice, mandua parantha, etc. which were cooked by local people. This created employment for local people and also it was beneficial for nearby farmers and traders as regional food products were being used. Vegetables for labour and NIM workers were purchased from local farmers during the rainy season. Bringing heavy machines like JCB, tractors, trucks, etc. here when private business companies gave up and recreating the entire area is a miraculous task. This could happen only because of hard work and dedication. By now three helipads have been constructed along with several high-quality cottages for tourists. Presently, Kedarnath route is furnished with all facilities for pilgrims and tourists. The primary task of restarting the Yatra by reconstructing roads and providing basic amenities has been completed. A lot is still left. All the members of the Indian army who were part of his team worked continuously without taking any leave. Also, the dedication with which the Nepalese labourers and their team leaders worked in such severe conditions deserves great appreciation. This also opened up employment opportunities for natives of Kedarnath region. The fund for this project was appropriately utilised. What inspired you to train the youth to join the Army, what inspired you to start Youth Foundation? When I recruited a few young men from nearby villages to the rescue team for Kedarnath, Gaurikund, Sonprayag and Fata operations, I was enthralled by the dedication and passion of these young people. They have had lost their livelihood; hence I invited them to NIM and trained them to join the Indian Army. I was impressed by the passion of youth of Garhwal to join the Indian Army, and hence I started a training programme for such people. I self-funded the cause. The first batch had only 11 trainees, and the Army recruited all of them. This was later expanded, and now six similar camps are being run in six districts of Uttarakhand, which are now associated with the Youth Foundation. The first camp was established in 2013, and the Youth Foundation registered itself as a charitable not-for-profit trust in 2015. I observed that many people wanted to join the Army eagerly, but they lacked the training. 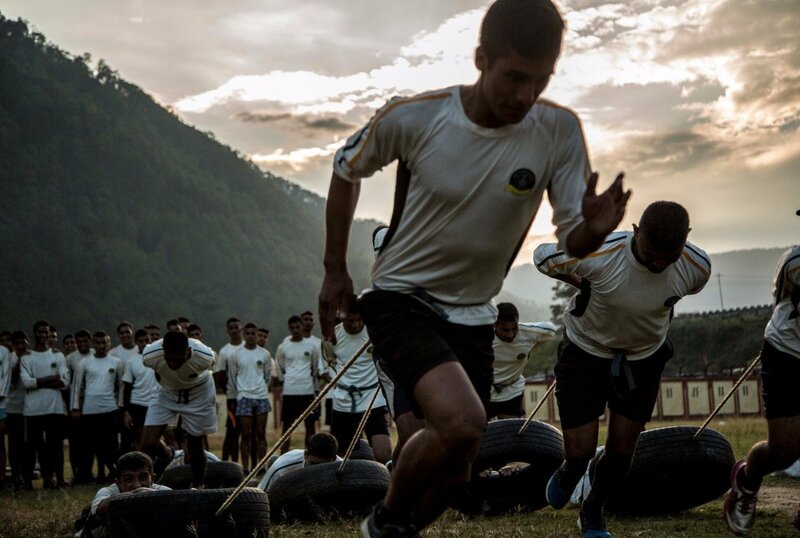 Training camps made sure that the participants would be groomed appropriately to join the military and other forces. Mental, physical and holistic grooming would be provided so that they could quickly clear the entrance examination. 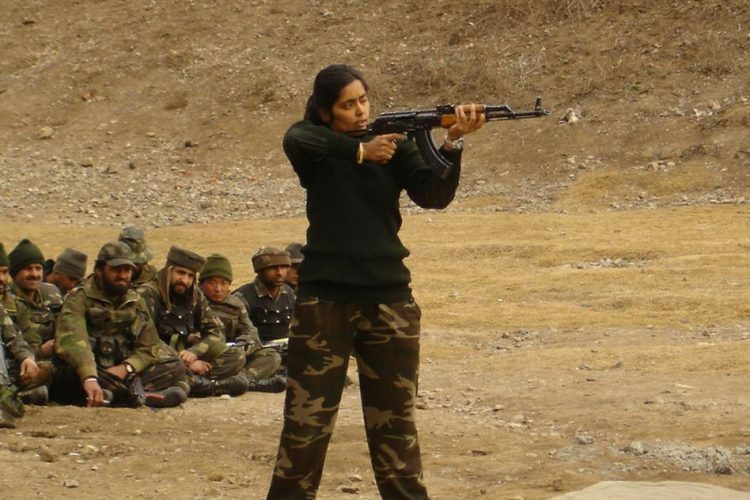 In 2013, out of 32 participants, 28 were recruited in the prestigious Garhwal Rifles of the infantry. 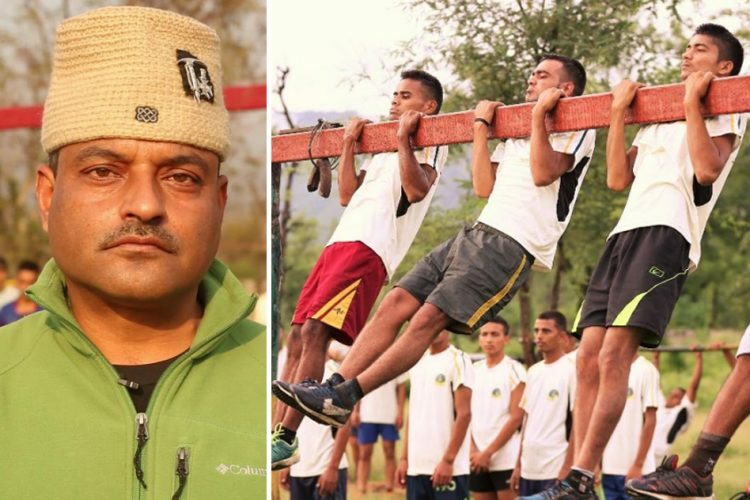 These training camps have been giving positive results, and hence many young men have joined Indian Army, Uttarakhand Police Services, ITBP, BSF, Navy, etc. This is not only generating employment but also creating a constructive environment in the region. I am planning to open more such camps. Young men in these camps are not just physically trained but also trained for written examination. Teachers have been appointed who teach science, mathematics, general knowledge, etc. I don’t have any specific ‘future plans’ but to make Uttarakhand a sustainable state. To revive the culture and prosperity of hills is my mission. I believe the youth has a true potential of achieving the dreams of the people of Uttarakhand. Do you have a message for the youth? The young people of Uttarakhand are full of enthusiasm, and they just require proper guidance to give positive output. I urge youth to join me in this mission to rebuild Uttarakhand.